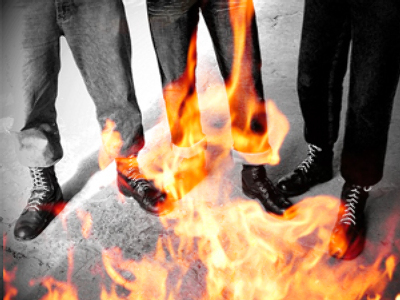 A skinhead gang is suspected of an arson attack on a synagogue and the home of a police officer in Russia’s Far East. According to local police, the extremist group launched the double attack on Saturday night. 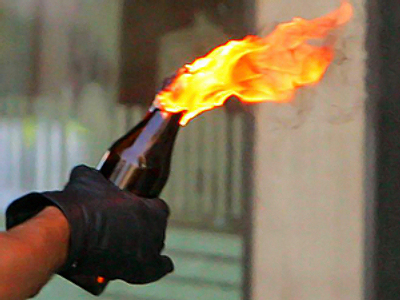 Armed with Molotov cocktails, they simultaneously targeted two locations in the city of Khabarovsk. One was a local synagogue, while the other one was the home of a policeman who investigates cases with extremists involved. In the latter case, the gang specifically threw their incendiary bombs at the room where they thought the man’s children slept, investigators said. Khabarovsk’s police center for anti-extremism was aware of the gang’s plans to carry out such an attack, but it was expected a week later on September 18. It’s the date of this year’s celebration of Rosh Hashanah, the holy day often called “Jewish New Year”. But they decided to strike earlier because they hoped most of law enforcers would be away in the neighboring Jewish Autonomous Area, which celebrated its 75th anniversary last weekend. Four of the attackers were detained at the scene. One of them, a 15-year-old school student, was later released on bail. They are charged with attempted arson and may be charged with attempted murder if enough evidence is gathered.